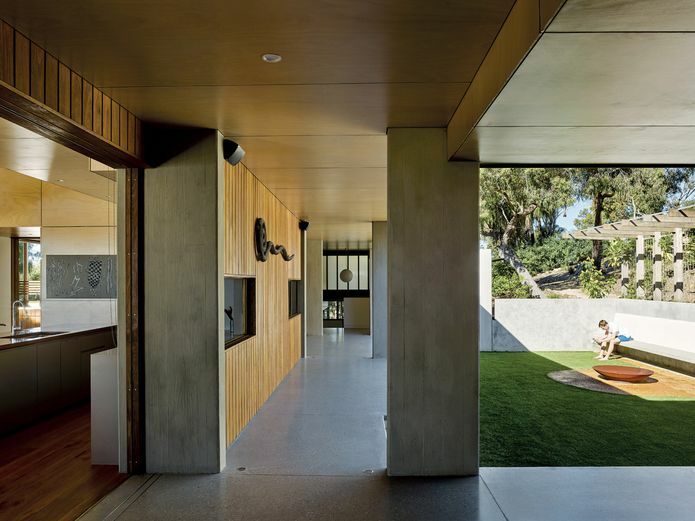 Drawing on an intimate knowledge of the region, Bark Design Architects have created a low-maintenance and environmentally sensitive Queensland beach retreat for an extended family. This family retreat looks north to the headland of Seventeen Seventy on Queensland’s “Discovery Coast.” Artwork: Nicholas Harding. A few kilometres south of the twin coastal towns of Agnes Water and Seventeen Seventy (1770) lies Springs Beach. One in an array along Queensland’s “Discovery Coast,” Springs Beach welcomes the waters of the Coral Sea into a quiet cove protected by the promontory of Rocky Point. 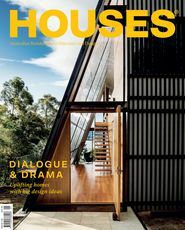 Set above the point, looking north to the headland of 1770, a quietly luxurious dwelling crouches within the shade and refuge of the coastal forest, a comfortable retreat designed by Bark Design Architects for a Brisbane-based couple and their extended family of children and grandchildren. 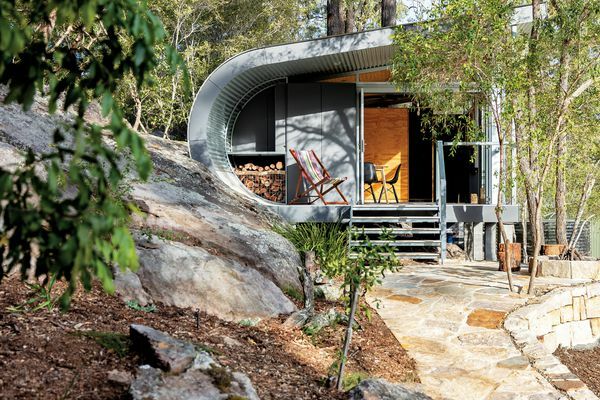 The careful siting of the home, its gracefully weathering forms and finishes only visible in fragments, helps to visually preserve the pristine nature of the locality, which has resisted speculative campaigns to more rapidly develop as “the next Noosa.” The allure and promise of the region are obvious. It’s a launch point to the southern Great Barrier Reef and Lady Musgrave Island. It incorporates the protected landscapes of Deepwater and Eurimbila National Parks. But relative isolation keeps the pace of growth in check. At six hours’ drive north of Brisbane, it’s quite a trek. 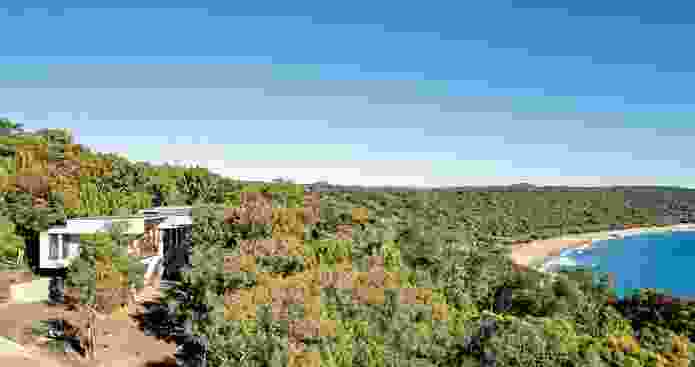 If you arrive by plane at one of the closest regional cities, Gladstone or Bundaberg, it’s still at least a ninety-minute drive to Agnes Water/1770 from either city. The grassy, walled courtyard to the south of the plan is built above 86,000 litres of underground rainwater storage. Artwork (L-R): Courtesy of Bábbarra Women’s Centre, Bronwyn Oliver. 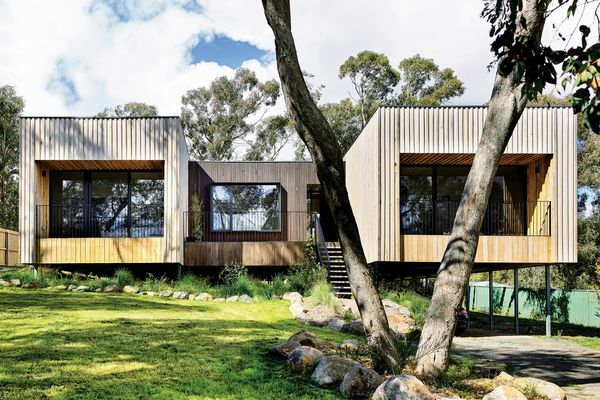 Bark Design’s directors Lindy Atkin and Stephen Guthrie share a familiarity with the region that is as longstanding as the practice itself. One of their earliest projects, in 1997, was an unbuilt proposal for a mixed-use development in the town of 1770. 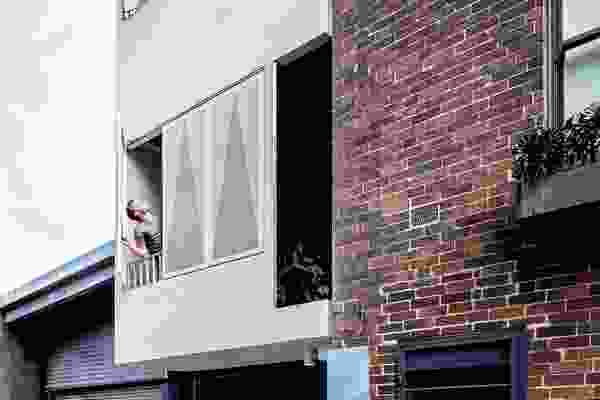 Since that time the practice has undertaken many more projects here, including four in the “eco” development of Sunrise at 1770, fifteen kilometres south of its namesake, for which it also prepared the design review guidelines. Each of these works exemplifies impeccable climatic design, informed by building in close proximity to conservation areas, where the sight and experience of the native landscape are so highly prized. Buildings here don’t break above the ridgeline and are typically teased apart into yielding forms that open as much as possible to the natural environment. 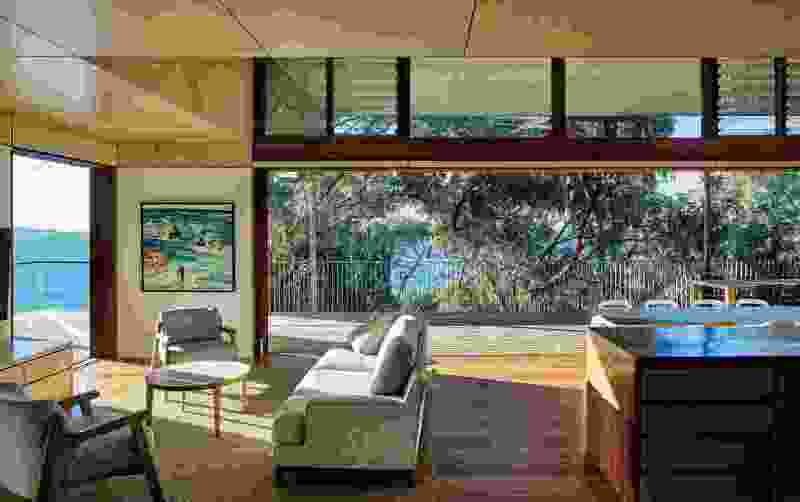 It was while holidaying at Sunrise at 1770 in a Bark-designed house that the clients were inspired to contact the practice to explore the possibilities for creating the extended family beach retreat above Springs Beach. 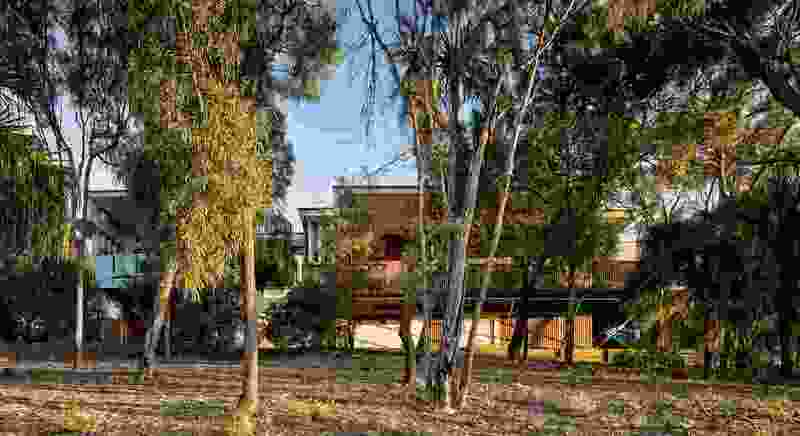 Springs Beach House occupies eleven hectares of coastal forest originally earmarked for subdivision into fourteen lots. 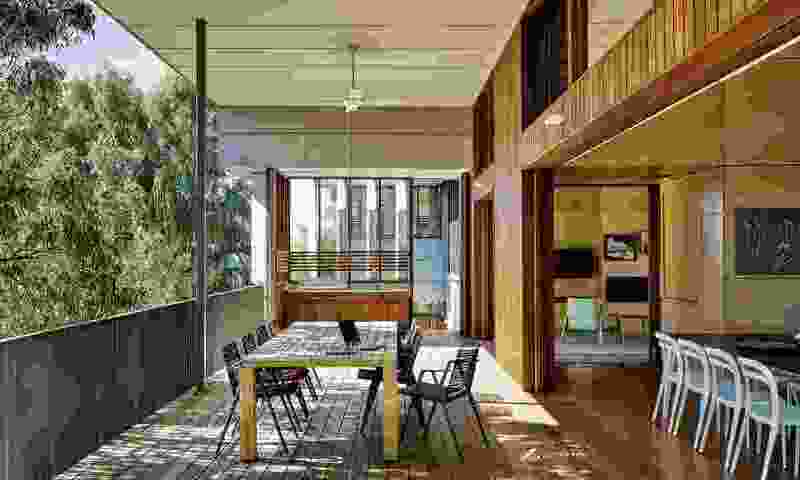 The design evolved through sifting the lifestyle requirements of the large extended family through the frames of environmental efficiency, self-sufficiency, low maintenance and landscape preservation. The journey of defining the spaces to accommodate the complexities of extended family holiday time started as a conversation between client and architect, followed by iterations of analysis and planning. Shared visits to the magical site were essential to the process, with the final visit dedicated to walking the design as marked out by the surveyor to “ground the truth” of its integration with the landscape. The house sits below the height of the canopy, avoiding interruption of the natural ridgeline. As the house is approached through the forest from the south, a permeable entry “lantern” hall welcomes inhabitants. This is the first point of contact in the architect’s strategy to gather up the various parts of the home with secure but “breathing” circulation at the edges, so that movement is always “alongside and in between” the interior and the landscape. The house extends from east to west in perfect climatic orientation, articulated as three pavilions: central living, the client couple’s private quarters and the self-contained, bunkhouse-style accommodation for the clients’ children and grandchildren. These pavilions are robust but lightweight, hovering within the forest as suspended timber and steel-framed constructions, clad externally in clear-sealed fibre-cement sheeting and elegantly silvering recycled tallowwood. Fine tallowwood screens and polycarbonate sheeting delineate the spaces of movement and connection. 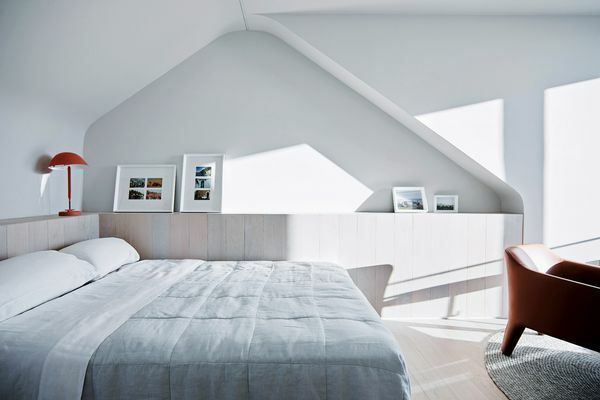 Limed plywood lines the interiors. The home isn’t entirely of lightweight construction. The pavilions are anchored to the “monumental” element of a grassed court and covered social space to the south, enclosed by sandy off-form concrete. This area, built over 86,000 litres of underground rainwater storage, offers formal containment of the outdoors, a counterpoint to the expansive north-facing spaces and a secure but active ground-level play space for the youngest generation and the family dogs. West- and east-facing openings are activated by operable fins that moderate sunlight and views. The guest pavilion is ornamented by a layer of sliding screens made of laser-cut anodized aluminium, which extend the livability of these separate quarters while creating dramatic effects of light and shadow within the interior. Deep decks double the living area and offer a multitude of ways to spend time together without getting under each other’s feet. As a surprise high point, there is also a “crow’s nest” accessed from the top level of the guest pavilion. 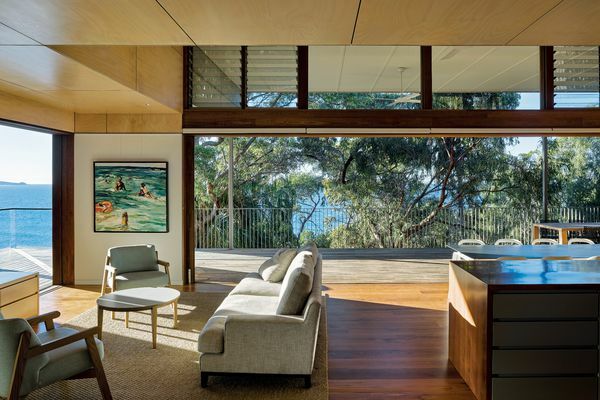 With interiors open wide to the vibrancy of landscapes far and close, as pretty-faced wallabies graze in the nearby shade, it’s easy to imagine the relaxed ebb and flow of precious shared holiday time in this beautiful home. Lysaght Spandek in Colorbond ‘Gully’. 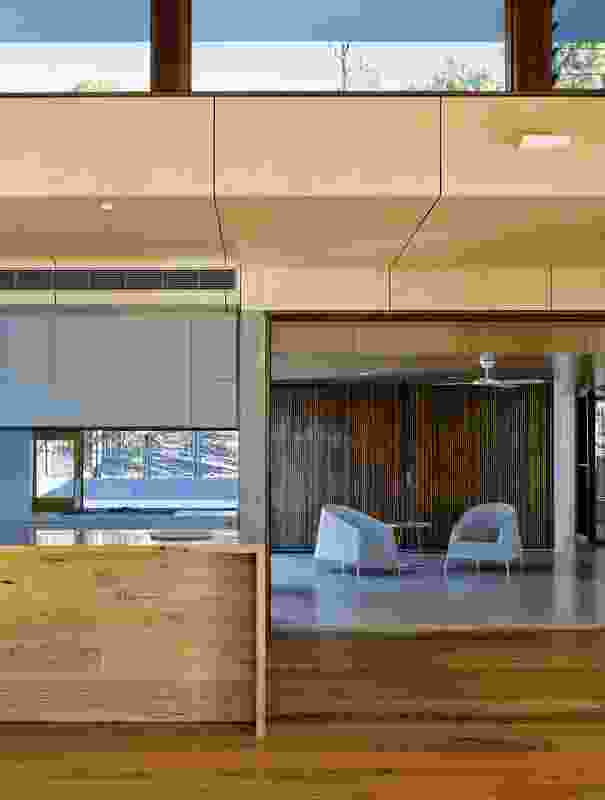 Palram twin-wall polycarbonate sheeting in ‘Opal’; Kennedy’s Timbers recycled tallowwood shiplap cladding in Cutek oil; CSR Cemintel Barestone panels; James Hardie compressed fibre cement panels; off-form concrete; Rockcote Smooth Set render; stucco. Gunnersen hoop pine plywood in limewash; Ace Stone and Tiles vitrified porcelain tiles in ‘ Less White ’ ; USG Boral plasterboard in Resene ‘ Rice Cake ’. Architectural Window Systems Vantage aluminium frames in ‘ Coastal Seabreeze ’ ; recycled tallowwood frames; Breezway Altair louvre windows. Architectural Window Systems aluminium doors in ‘ Coastal Seabreeze ’ ; Gunnersen hoop pine veneer in limewash; recycled tallowwood. Kennedy ’ s Timbers recycled tallowwood boards in Whittle Waxes Hardwax oil; Boral polished concrete in ‘ Snowdrift ’ ; Ace Stone and Tiles vitrified porcelain tiles in ‘ Sage ’. Gunnersen hoop pine veneer; Miele refrigerator, oven, cooktop and dishwasher; Zip Hydrotap; Qasair rangehood; Abey sink; Vitra X-Line mixer. Villeroy and Boch Loop and Friends basin, Subway toilet and Grata shower grate; Rogerseller Strap hardware, Tonic mixer and Waterose Spin shower rose. Vental motorized blinds; Verosol roller blinds. Kennedy ’ s Timbers recycled tallowwood decking in Cutek oil; Electrolux barbecue. Sunverge photovoltaic panels and battery system. A combination of timbers and mottled concrete brings a robust luxury to the interior spaces. The top level of the guest pavilion offers a “crow’s nest” vantage point. The home’s deep decks double the living area, ready to accommodate gatherings with the extended family and friends. Artwork: Peter Churcher. 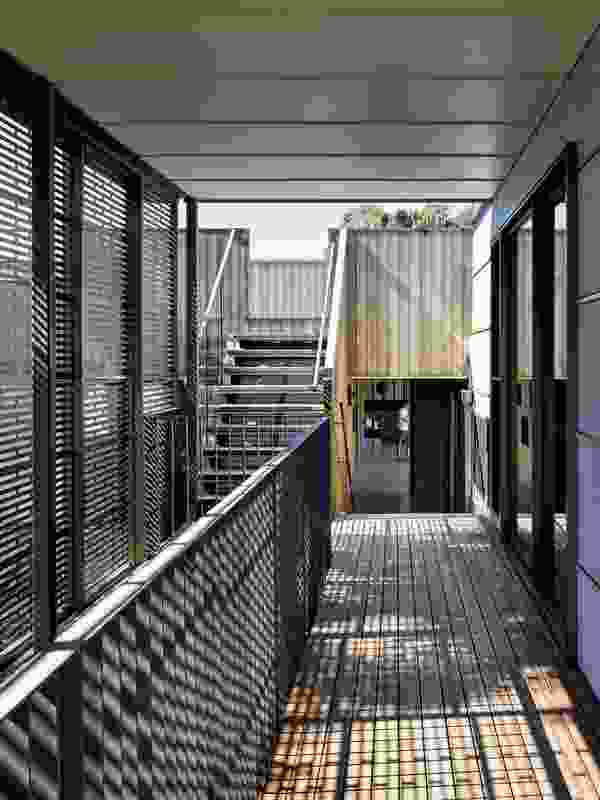 External materials were selected to visually recede into the surrounding coastal forest.